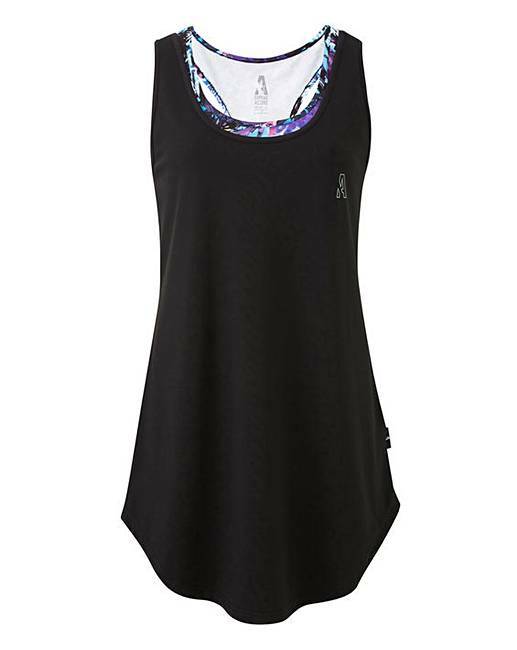 Our new season double layer vest is designed to be long enough to wear with our leisure leggings. With a fitted printed inner layer and a loose fitting black outer layer, this vest is perfect to use for your leisurewear wardrobe. Inner: 92% Polyester, 8% Elastane. Outer: 93% Polyester, 7% Elastane.